Clifford Harris is one of the richest and most successful men in music. Of course, you might not know Clifford Harris by his real name, but by his rap name: T.I. (No, I don’t know what T.I. stands for, nor do I want to know.) He’s done a lot of things in his short lifespan, from releasing hit records and founding a highly successful nightclub to spending time in jail on gun charges. Now T.I. can add another star to his CV for his successful tenure as a suicide prevention counselor. T.I. was able to talk a suicide jumper off the roof of a 22-story building in Atlanta yesterday. 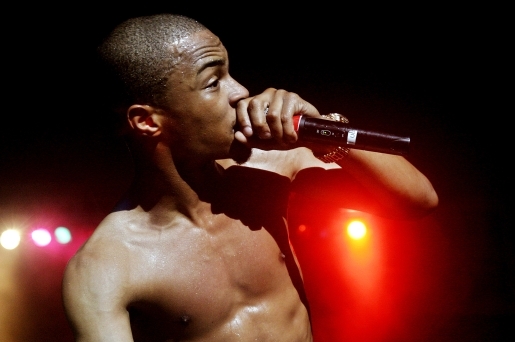 T.I., an Atlanta, Georgia, native, heard about the potential suicide jumper on the building from a report on a local radio station. So, he went down to the building. Rather than just gawk, T.I. offered to help. He was able to lure the man off the edge of the building with the promise of a face-to-face conversation. The two talked, and the man no longer wanted to leap to his death. I bet he works at Foxconn. As for T.I., I imagine this will only help his case as he faces sentencing on drug-related charges in Los Angeles while on parole. Hopefully being a good Samaritan will help him stay out of the pokey again. This is a pretty good deed to do, so good for you, T.I. !